Data loss can happen to anyone, but it’s not everyone that knows how to recover lost data. Therefore, if you have a good knowledge on how to recover lost or deleted data in the twinkle of an eye, then you’ll not panic when files get missing. Hard drive recovery software are the best tools for getting back lost or deleted data from computers, external hard drive, etc. There are many recovery tools in the market, but not all of them are easy to use. Here we recommend 5 easiest and most efficient ones. Choose one depending on your needs here. You may be having many questions about hard drive data-recovery tool. Here, we’ll be addressing two vital questions that those in need of data recovery tool ask. Question 1. Why Is It Possible to Recover Hard Drive Data? Hard drive data recovery is possible because of the remanence feature of data. Data remanence means that some data still stays on the hard drive even after it has been deleted. That’s why you can use recovery software to find back your data. Question 2. What’s the Best Hard Disk Data Recovery Software? The best hard drive recovery software is not known by Google search engine ranking, it’s best known with the features and benefits it offers. Here are some of the features and benefits to lookout for when choosing a hard drive data recovery tool. It’s fully compatible with the latest version of Windows or Mac. It’s over 96% efficient in recovery lost or deleted data from hard drive. The interface is friendly to use in hard disk recovery. It offers other recovery features such as recovering data from external devices. It’s relatively affordable and cheap to purchase. The scanned files should be able to preview. The following hard drive recovery software can recover deleted, lost, inaccessible, or lost partitioned data/files from any hard drive. In our review of top 5 hard drive recovery software, we’re placing AnyRecover at the top 1 position because meets the specifications of a good hard drive recovery tool at the fastest speed. As the name implies, it can recover any data from any storage device. Our test shows that this software can recover over 1000+ corrupt, formatted, deleted or lost files types such as videos, photos, documents, emails, audios, etc. in the shortest possible period. Hence, we proclaim that AnyRecover is the perfect hard drive recovery software of the century, and encourage you to go for it. Support over 1000+ types of files such as photos, videos, office documents, albums, emails, audios, lost partitions, etc. 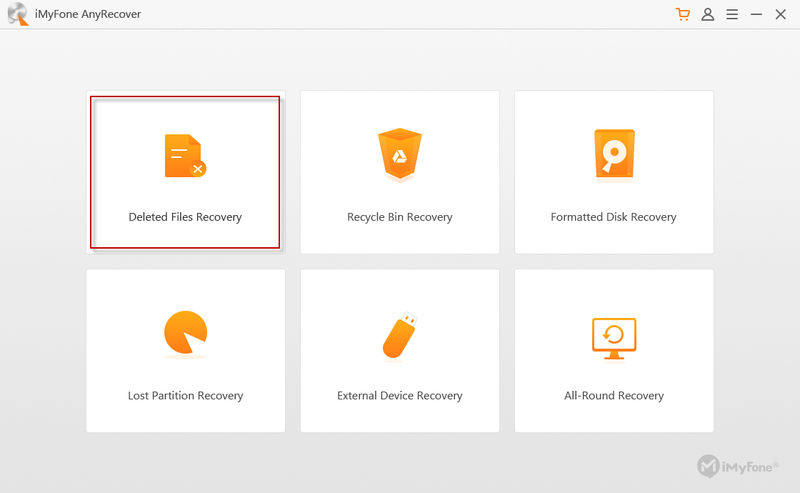 Recover lost or deleted data from hard drive, recycle bin, memory card, USB drive, digital camera, mobile phone, etc. Launch the AnyRecover program on your Windows PC or Mac. If you want to recover data from a external hard drive, please connect it to your computer. Then choose a mode that describes your need, in this case, we can choose “Deleted Files Recovery”. Select a hard drive where you lost you data and click Next. Then choose file types and click Scan to proceed. After scanning, you can double click the file to preview. Once you select the files you want to recover. Just click “Recover” to begin. Note: If you cannot find your lost files there, you can click “All-Round Recovery” mode at the bottom left corner to have a try. It would find you more lost or deleted files. 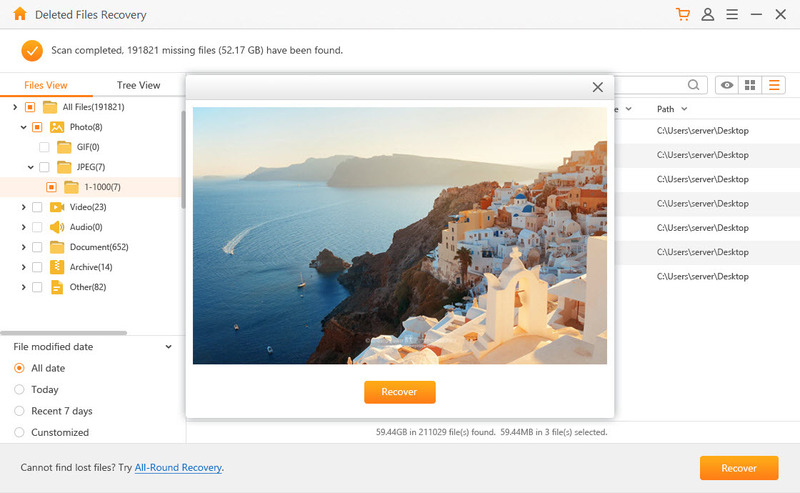 Recoveit is a hard drive data-recovery software that is effective in retrieving lost data from personal computer hard drives, external devices and mobile device. It supports audio, visual and other file formats for recovery. It can recover data from computer hard drives such as IBM, Toshiba, Dell, HP, etc. It offers data recovery services for external devices. Some files couldn’t be open after recovering. It’s a little expensive that the 1 Year & 1 PC license is $39.95. Stellar Phoenix is a hard drive recovery tool that helps you to recover files and data from Windows computers. It can retrieve data even from damaged media storage devices. It can recover deleted emails and lost partitions. It supports recovery from Windows Vista, 7, 8, and 10. 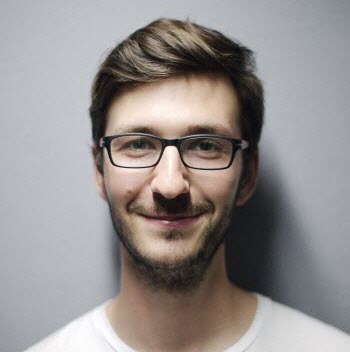 It doesn’t support hard drive data recovery in macOS computers. Its interface is very old-style that looks like running on a Windows 2000 computer. It’s much more expensive that the 1 Year license is $79.99. EaseUs specializes in retrieving hard drive data lost during formatting, deleting or accidentally erased. It supports deep scanning of the hard drive to recover lost data. It can recover file types such as emails, videos, photos, and archives. It can scan hard disk with up to 8 TB of storage space. EaseUs is quite slow in retrieving data from hard drives. Some kinds of file types are not supported to preview. Some files cannot open after recovering. It’s expensive that the 1 PC license is $69.95. This tool is effective in retrieving deleted files and data without stress or wait of time. It’s a fast data recovery tool for Windows PC and Mac. It allows you to search for files before scanning. You can use the AnyData filter to easily search for lost data by entering the date, type and file name. It’s limited to a small number of media file type. Its successful recovery rate is much lower than other software. It’s a little expensive that the 1 Month % 1 PC is $45.95. Installed a hard drive recovery software before you need it, which will increase the success rate to recover lost files! According to our test and review, we would recommend you to download the AnyRecover Hard Drive Data Recovery Tool. Don't hesitate!